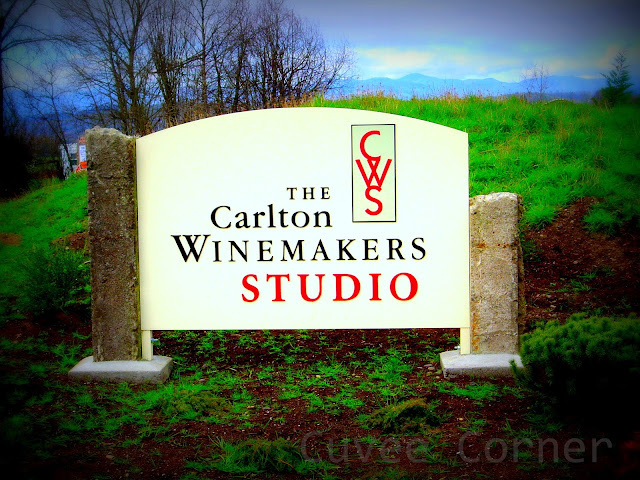 If you find yourself out and about on the Orgundian Wine Trail, looking around for a great place to visit while in the Carlton area, may I suggest a visit to the off-the-beaten-path Carlton Winemakers Studio? It could be described as the place many winemakers get their start, long before they've become a household name, a place where some the very best wineries in Oregon emerge from the chrysalis to become major players on the Oregon wine scene. In having visited this great little spot to get my wine on in a big way a few years ago with the fetching Mrs. Cuvee; I'm reminded of the many pioneers in the wine biz who have gone before with nothing more than a few dreams in their back-pocket with only the sheer determination and pure resolve to see them realized. 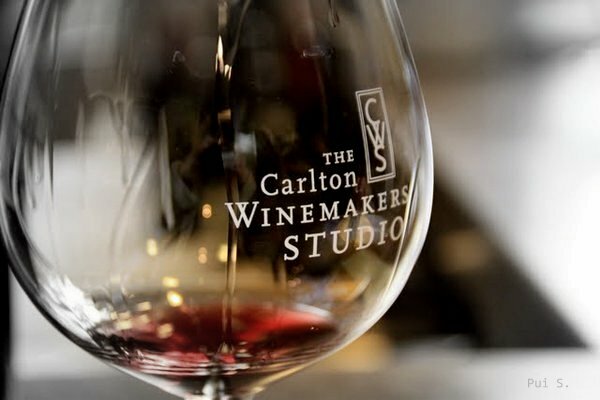 In fact there was a poem written in 1874 called "Ode" by the English poet Arthur O'Shaughnessy the line "We are the music makers, we are the dreamers of dreams" which I think best sums up for me the styles of wine one can expect to find from a visit to one of my favorite spots in the Carlton area. Now I can't say you're going to like each and every wine you encounter here, but you should expect the unexpected. I say that because in this uniquely "green" [not in color] building, neatly tucked away in the town of Carlton [a winemaking hub], lies a humongous cooperative winemaking facility founded by Eric Hamacher, where you'll find as many different styles of wine as the winemaking itself. It's a shared-facility which often houses 10-12 different artists or as some people like to call them winemakers and to be fair; everyone’s wines are featured on a rotating basis in their tasting room which you see above. All of them sharing a space under one roof, one which has produced many of my favorite Oregon producers. It's also where one of its longtime residents Andrew Rich has produced so many tasty wines, it would be difficult to name them all here. But please click here to see a list of his current offerings from the Northwest-inspired Rhone-Zone collection and other favorites. Lest you think the Rhone-Zone is his only bread and butter; Mr. Rich also has a deft hand when it comes to Oregon's signature grape. Check out the 2008 Andrew Rich "The Knife Edge" Pinot Noir or his 2009 Andrew Rich Prelude Pinot Noir, for example, a wine which recently made the Portland Monthly coveted "Top 50 Wines” list. 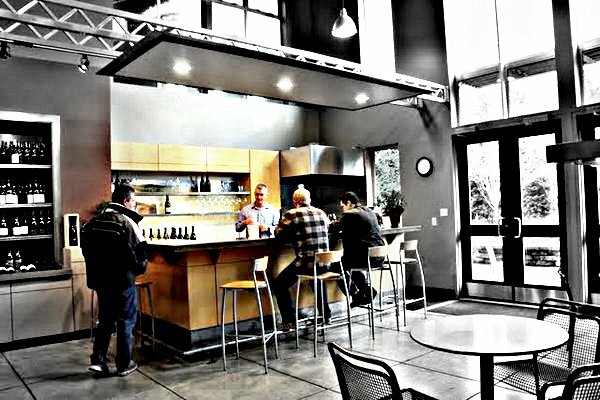 I like how the Seattle Times Wine Advisor describes this unique winemaking studio; "It's a great one-stop opportunity to taste through some of the newest and rarest of the region's offerings, and a lesson in green engineering to boot.” Of course, you're going to find great Pinot Noirs, Pinot Gris, but like I said earlier expect to find a few other nice surprises along the way, remember the words of Coco Chanel who once said; "There is no time for cut-and-dried monotony." Now unfortunately for me, even though I did visit Oregon earlier this year, I'm still a bit behind on who's who in the studio these days, but don't let that stop from paying them a visit the next time you find yourself in the area. Until next time folks, remember life is short, get out there, discover and find something new. Until next time, continue to sip long and prosper cheers! I've heard nothing but good things about this place since visiting OR recently. I wish I had the opportunity to have visited, however I am very glad to see this great post and photos to give me more of a sense. My friend told me a little about this place and according to him this place is so nice. Never been to this place since then and if there will be an opportunity I would surely visit this one.